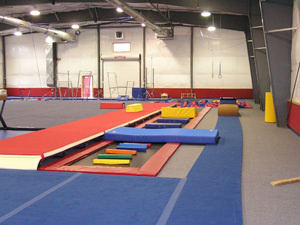 Silver State Gymnastics does a phenomenal job of keeping our young gymnasts healthy. Coach Dave focuses on the skills and conditioning levels necessary for being a top performer without pushing too far, too fast. That said, gymnastics IS a sport, and injuries can happen. For small tweaks and strains, use the Rest/Ice/Compress/Elevate formula (Gymnastics R.I.C.E). For anything bigger, go and see a qualified doctor. Leaving injuries untreated not only makes the injury worse, it can lead to more injuries. A survey study was done on level 4 to level 10 gymnasts in the Seattle area. It covered 96 athletes competing at the club level. Acute injury rates were 1.3 injuries per 1000 hours training if looked at across the board. For gymnasts aged 10-17, the injury rate was 3-fold greater than athletes aged 7-9 years. This increase in injury rate may be due to more complex skills, to small injuries stacking up, or to many other factors. The majority of injuries occurred in practice, but the injury rate was higher during meets. Overuse injury rates were 1.8 per 1000 hours. During their gymnastic careers, concussions occurred in 30.2% of gymnasts, and stress fractures (mostly low back and foot) occurred in 16.7% of gymnasts. To prevent injuries, first you need to find a great coach (if you’re at Silver State Gymnastics you have this covered :)). Next, focus on proper mechanics of landing after a skill. Then conditioning. As a parent, making sure your young athlete has plenty of rest and eats properly will go a long way towards preventing injuries and healing them faster if they happen. Clin J Sport Med. 2011 Nov;21(6):486-92. Survey of injuries in Seattle area levels 4 to 10 female club gymnasts. O’Kane JW, Levy MR, Pietila KE, Caine DJ, Schiff MA.